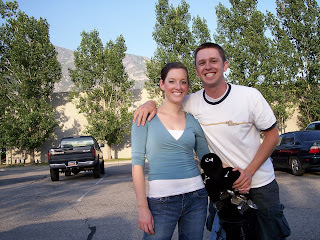 Here we are going golfing in the days before marriage. So young! Tyson and I had our first date on Valentine's day six years ago so today is a holiday and an anniversary for us. Oh my gosh, I think you guys look exactly the same!! You should post a side by side current photo. Marriage, pregnancy and a baby has done nothing to you. You both look awesome. Um, yeah, you do look the same! That's meant in a totally good way!!!! !